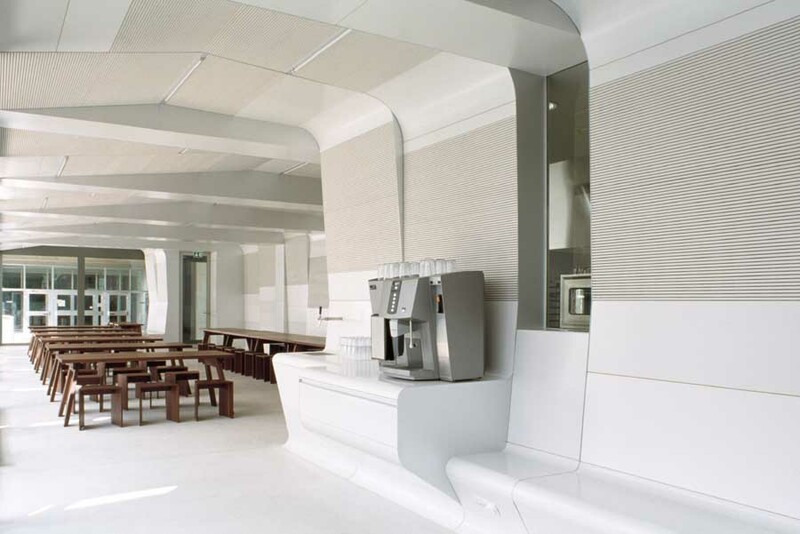 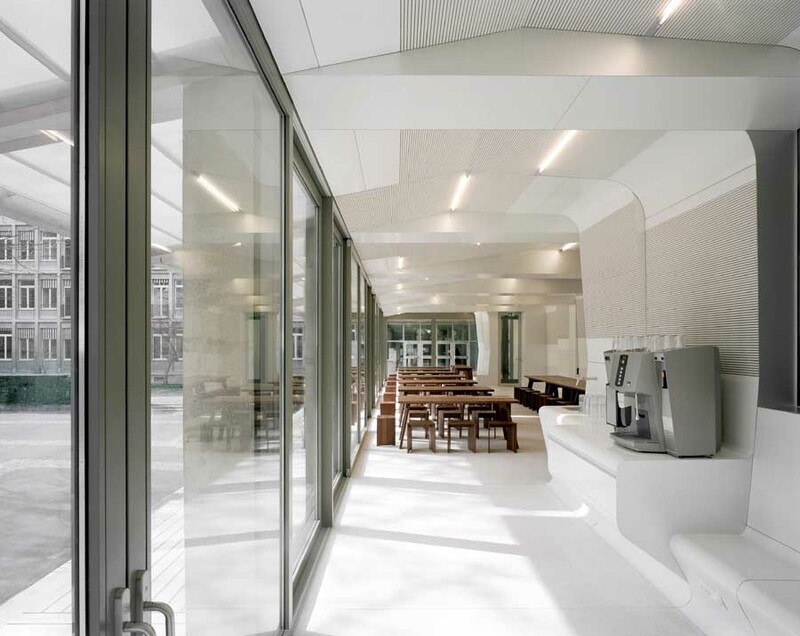 The project is an integration of a cafeteria into a existing open lobby of a important school building located in the city center of Basel. 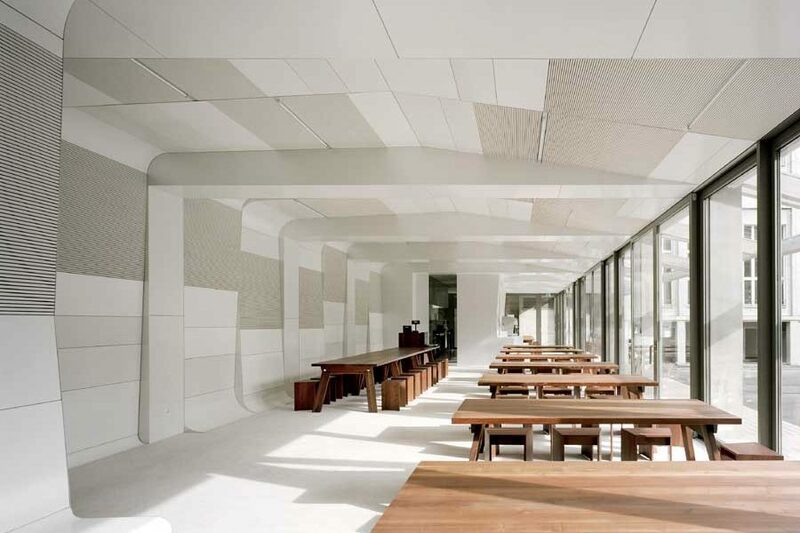 Ribbons made of wood are put above the existing floor, wall and ceiling. 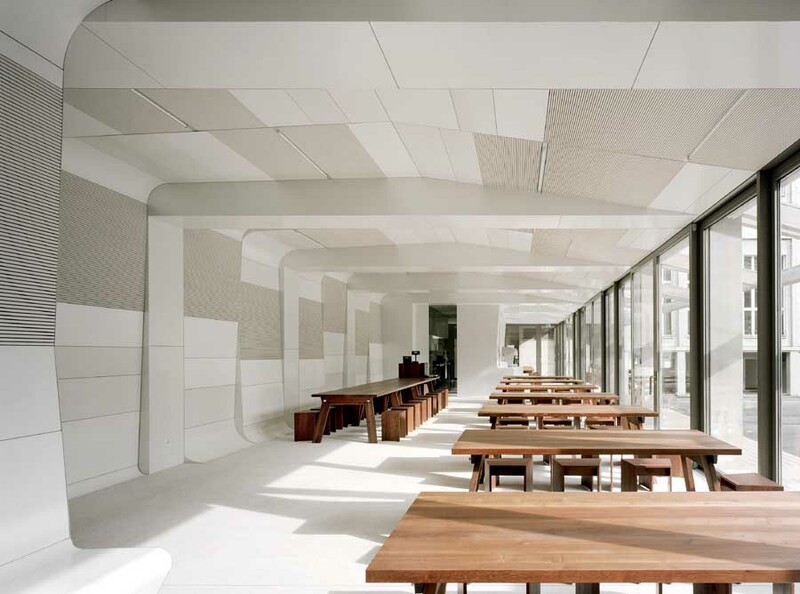 In between the being concrete structure these ribbons reach out to the courtyard, creating a sunscreen and a terrace where people can sit and eat. 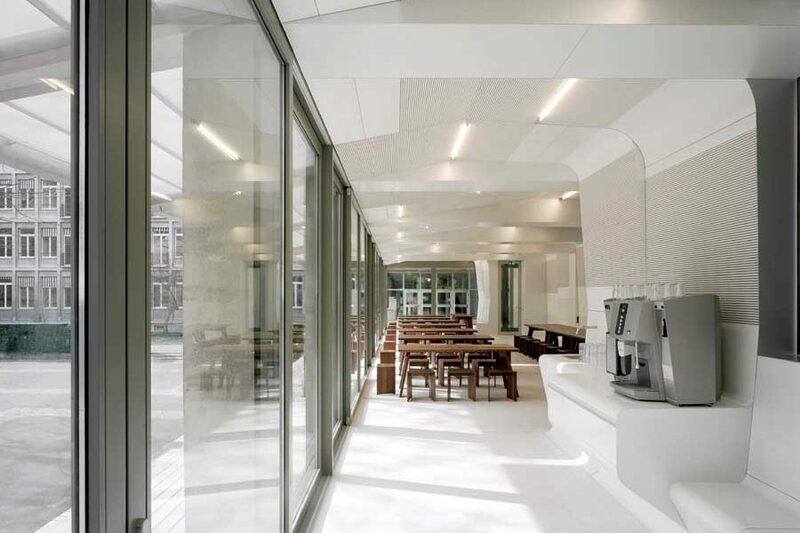 This gesture links the interior space to the outside and enables a direct access from that courtyard.